In the summertime, household water use spikes. The bathroom, kitchen, laundry room, and garden are all areas where water is often wasted. Here are some tips that will help you conserve water and also reduce your water bill. Wash your hands using cold water instead of hot water. Invest in an efficient low-flow toilet. In the kitchen, washing dishes uses up the most water. Conserve water by investing in an energy-efficient dishwasher. These appliances actually use less water than hand washing your dishes. In some cases, your city may provide assistance for purchasing energy-efficient appliances. The laundry room can also consume large amounts of water. Conserve water by using the right settings for each load size. 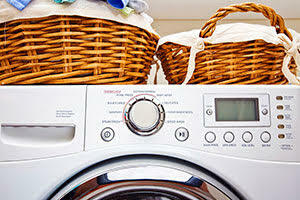 Invest in a high-efficiency washer. These appliances use much less water and still wash your clothes as well as low-efficiency models. Water early in the morning because water evaporates faster in the afternoon. The best sprinklers for the job prevent evaporation by releasing water close to the ground. Adjust your sprinklers so they aren’t wasting water watering the sidewalk. Landscape with drought-tolerant and native plants. Mulch around your plants to help the ground retain moisture. Keep in mind that the City of Covina has recently updated its lawn watering guidelines to 2 times a week, Wednesdays and Saturdays during the Summer.